If the sight of shining white carpet of snow excites you the most and you also want to glide down the snowy slopes, then Jammu and Kashmir is the right choice for you to enjoy winter holidays in India. 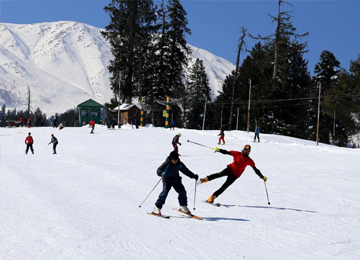 Blessed with many beautiful destinations like Gulmarg, Patnitop and Pahalgam, Jammu and Kashmir today is a hot destination for a skiing with more and more visitors heading here to spend their skiing holidays. Jammu Kashmir skiing tour packages offered by Tour My India can add that extra element of spice and turn an otherwise average trip into fab. Skiing tour packages offered by us will ensure you exciting experiences and are available at reasonable prices. 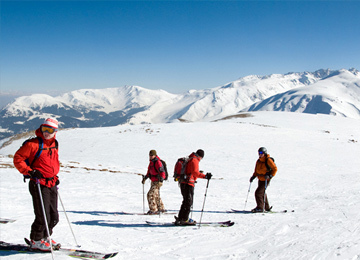 Situated at an altitude of 2,730 meters, Gulmarg is one of the best skiing destinations in the world. The sights of rolling ski slopes covered under heavy snow and freezing temperature is really breathtaking. Similalrly, Pahalgam, the small town of Anantnag district transforms itself into a captivating snow beauty during winter season. Plan your travel to Jammu and Kashmir with us. We offer selective Jammu Kashmir tour packages designed keeping in mind the needs and taste of every traveler. 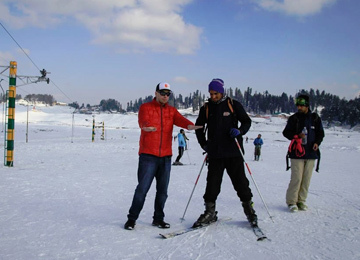 Our Jammu Kashmir skiing tour packages focus not only on your skiing experiences but they also cover various local sightseeing places along with nice accommodation options. 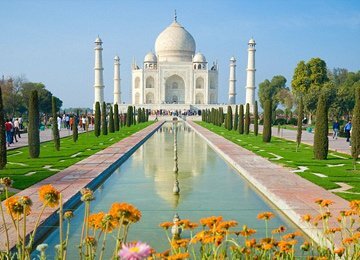 Tour My India offers best value deals for several other tour packages to Jammu Kashmir that will definitely add more spice to your holidays. Skiing Season The season for snow Skiing in Gulmarg Kashmir is winter which extends roughly from early December to ending March. The best time for skiing is early January to ending February every year.